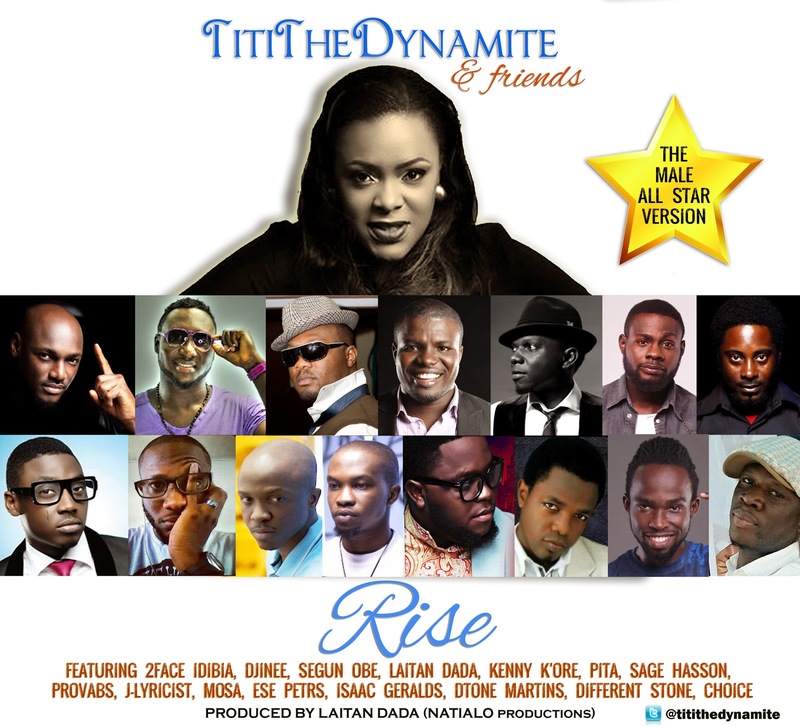 The long awaited male version of the inspiring song initiative, RISE by Titi Oyinsan of Inspiration FM, popularly known as Titi The Dynamite and Friends is now out. Produced and Arranged once again by production wizard, Laitan Dada of Natialo Productions, the song features the Amazing combination of Incredible Nigerian Male Artists including 2Face Idibia, Segun Obe, Djinee, Mosa, Kenny Kore, PITA, Issac Geralds, Ese Peters, Provabs, Dtone Martins, Different Stone, J-Lyricist, Sage Hasson the Poet, Choice and Laitan Dada as well. This is the second track in a series of Inspiring hits from Titi The Dynamite and there is still more to come from the Radio Host known For Her Inspiring Mid-Morning Programme on Inspiration 92.3FM. Tune to her show Mondays to Fridays from 10.30am till 1.30pm on 92.3 Inspiration Fm or catch her podcasts online via www.soundcloud.com/titilayo-adelagun.